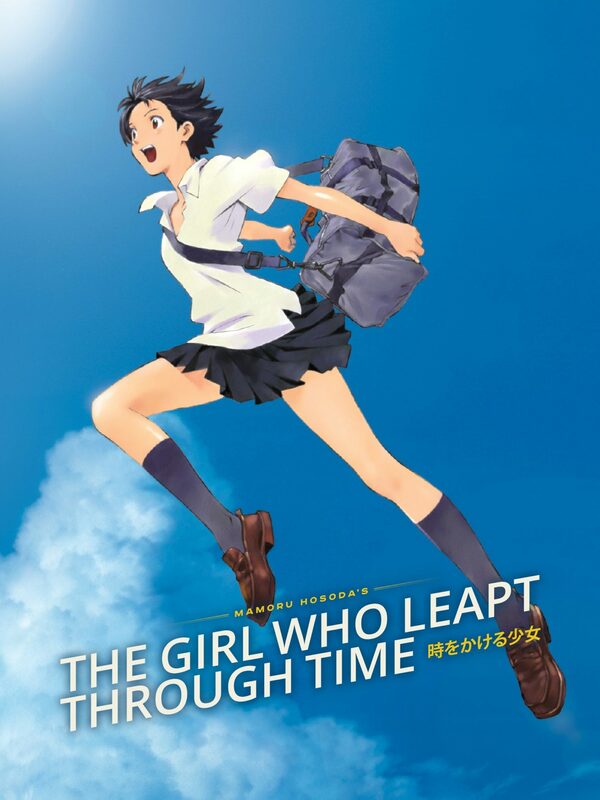 Recently, I had some time to watch an anime film I’ve been meaning to get to for a while: The Girl Who Leapt through Time. This was actually a rewatch for me, but it had been a few years since I saw it for the first time, and I didn’t remember much about it beyond the fact that I’d enjoyed it on the first go-round. It was high time for a refresher! The Girl Who Leapt through Time was released in Japan in 2006 and came to the US in 2008. Having watched some more recent anime films like Your Name, Sword Art Online the Movie: Ordinal Scale, and Steins;Gate the Movie: Load Region of Déjà Vu, this film seems to show its age a bit by comparison, though only really in terms of its animation. It’s not as crisp and clean as newer anime films tend to be, and instead of noticing moments where the animation surprised me with how realistic it looked, as happens with the newer ones, I found myself noticing spots where things looked a little clunky or unfinished. Thankfully, though, the story and characters aged very well indeed, and because of the relatable themes and ideas they bring forward, I think they’ll continue to do so. The story follows Makoto Konno, a high-school student living a perfectly normal life in Tokyo. She’s a bit absentminded, tending to be late for most everything, and has a bit of a clumsy streak, but she’s a pretty good student and is starting to think about what she wants to do for university. She spends all her free time hanging out with her two best guy friends, Chiaki and Kosuke, playing baseball, singing karaoke, and generally goofing around. Things continue on pretty much the way you’d expect until one fateful day, when everything seems to be going wrong for Makoto. She’s late for class, fails a pop quiz, starts a fire in home ec, and on and on. Her bad luck continues while she helps clean up the science lab at the end of the day—she slips and falls, landing flat on her back. In the process, she has a strange vision of whirling colors and images rushing past her. She tells Chiaki and Kosuke about it, but they mostly laugh it off and tell her to get her head checked. But later, when she’s biking home, her brakes fail, and she’s flung into the path of an oncoming train; instead of being killed in the accident, she suddenly finds herself very much alive, having crashed her bike in the middle of the road she had just been riding down. When she looks at the clock above the street, she sees that the time is a few minutes back from what it should be. A couple of tests later on confirm what she suspects in that moment: that somehow, she has managed to leap backward through time. Makoto uses her time-leaping ability for frivolous things at first—snoozing through her alarm as many times as she likes, perfectly catching the baseball every time, avoiding awkward moments, and other such inconsequential things. But before long, she discovers that her seemingly harmless jumps are causing major problems, both for herself and for those dear to her. To make matters worse, she discovers a strange symbol on her arm that seems to show how many leaps she has left, and the number is counting down quickly. Will Makoto be able to use her remaining leaps to set things right again, or will her meddling create a tangled-up timeline that harms the people she cares about the most? Though this film has a pretty tight plot, it feels almost like a slice-of-life anime, just with more of a story arc. The pacing, while not sluggish, has a contemplative, dreamy feel, and even though the stakes of the story are high, the tension is not. This is further highlighted by the soundtrack—the music is primarily quiet and thoughtful, even in some of the more intense moments, when you’d expect to hear fast-paced, dramatic themes. What the intention was for this I can’t be sure, but for me, the juxtaposition of high-intensity moments and happy, even peaceful music made me focus more on the emotional impact that the events of the story were having on Makoto and those around her than the improbable events themselves. The Girl Who Leapt through Time has a lot of the same things to say that many time-travel stories do, primarily that time travel isn’t something to be trifled with because even the smallest change can have huge consequences; that once something significant has happened, you can’t really keep it from happening no matter how many times you go back to change things; and that even when you think you’ve fixed one thing, you’ve likely created a whole new problem that you’ll then have to go back and solve. However, it’s a lot more introspective than many time-travel stories I’ve seen. It’s not sci fi, per se; the fact that time travel exists is more of a set piece than a focal point. In her trips back in time, Makoto does learn about the vagaries of time travel, but more than that, she learns some important things about herself, and about growing up. She learns that sometimes, things won’t go like you imagined, and you might not get exactly what you dreamed of no matter how hard you try to manipulate things, but she learns that this is okay, and that it’s better to work with the flow of time than to try to fight it. She learns that her choices, even the seemingly trivial ones, have consequences, sometimes far beyond what she could have expected—and this leads her to respect both her own responsibility toward the choices she makes and the power she has to influence the world around her. She also learns that even when one has mysterious, time-bending powers, things in life will go on changing, even when we wish they’d stay the same, and that if they didn’t, we’d never grow. Above all, Makoto learns that no matter what, the important thing is to keep moving forward—that time will move us on whether we’re ready or not, and that we can either make ourselves unhappy trying to stay in the same place or greet the next adventure with an open mind and heart, finding ourselves where we were meant to be all along. When all is said and done, the movie ends ambiguously, yet hopefully. Though it’s not clear whether Makoto and friends will get what their hearts desire, it’s clear they’ll be okay, however things turn out, and that the things that were revealed to Makoto through her experience will stay with her as she becomes still older and wiser. While I enjoyed this film the first time I saw it, I found that it benefited from a second viewing. I felt that I picked up more of what the story was trying to get across this time around, and that viewing it as someone who’s a few years older let me see more and different things in it than I did before. It takes a refreshingly different angle on the idea of time travel as compared to other stories on this theme that I’ve seen recently, and I found the peaceful, reflective tone was just what I wanted right now. And the reminder to keep moving forward, so prevalent in this story, is one I’m always grateful to get again.